Not too long ago Brian and Mary Lohse were so broke that their house was about to be foreclosed. There was even a time when Brian had to work part-time as a paper carrier. Despite later finding employment as an EMC Insurance attorney and as a medical assistant in Mary’s case, money was very tight. They were living on prayers and hoping for a lottery win to bail them out. They even had a dream, should they somehow win – build a proper grocery store in their town of Bondurant. 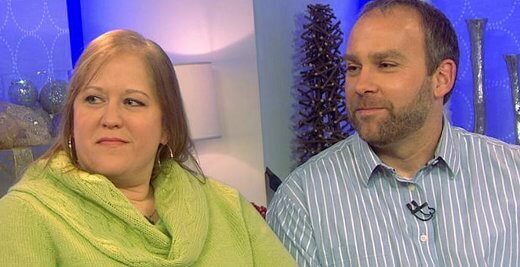 Their financial situation only changed for the better in late 2012 – and did it change! Sept. 26, 2012 started kind of routinely for the Lohses with Brian dropping off the children to school on the way to the airport, and Mary on her way to work. What turned an extraordinarily lucky one was when Mary decided to fill-up and buy Powerball lottery tickets at a gas station, then forgot about the ticket. When she remembered to check the ticket the next day after hearing an Iowan had won, she called a lottery number which plays recordings of the winning numbers. She realized her ticket matched all of them, but had to ask for her workmates to help her verify – then she called Brian, asking him to come home. Even when Brian was convinced it was no gag he did not have enough money to get home, and Mary had to borrow from friends again. She was so nervous she broke her vow to quit smoking – it was that hard to process a $202 million Powerball win. Realizing they did not have a clue how to handle such a big fortune, they hired a team of financial experts. All they knew was that they wanted to give most of the money away to people who needed it. First in line of course was family, and they wanted to hand over money to free them from debt. But on advice from the experts they hired, they decided to give $14,000 to each family member tax free — or $56,000 for a couple — so they could pay off the debts themselves. But that is just the start. Their philanthropic ambitions were such that they needed to be systematic about it, so they established the Lohse Family Foundation and used that as a conduit for supporting causes they held dear. Paying off the mortgage of their church, the Bondurant Federated Church gave them so much satisfaction. As a bonus, once freed from debt, the church got a youth pastor. When the youth pastor joked about having dreams of driving a Mustang, they were only too glad to make his dreams come true. They bought him a Mustang. They donated money so that the football stadium can double its seating capacity, and add a turf surface. They also want to fund improvements to the park. They have not forgotten their dream of establishing a proper grocery store for Bondurant, so people don’t need to drive out of town for supplies. They have invested $4.5 million to establish Brick Street Market & Café. The grocery will have its own bakery and meat counter, plus a retro-style diner. This will provide employment to people who will run it: managers, cashiers, cooks, clerks, bakers, butchers, waiters, and even kids who can do bagging of groceries. If you would like a better chance of living the Lohse dream by winning the US Powerball, why not try this online Powerball syndicate. You can also find reviews of other US lottery syndicates online here. Most of the monetary pleas for help came from outside the Bondurant, many of them from outside the state even. They had their hands full trying to weed out the scammers from those who really needed and deserved help. A lot of solicitations come from people who are not working and need money. Still Mary says many stories were heart breaking. They could easily relate to some of the desperate situations depicted in letters. They have answered and helped all those really in need. The Lohses will not give up their lifestyle and their values. In fact Mary is concerned about how such a big sum might affect their children. She wants the children to learn to prioritize needs over wants. They still dress casually, as if they are not millionaires, and have even kept their old telephone number. The couple has acted as proper role models – the children often see people thanking them for their generosity. And when one child asked what food stamps were and why a friend needs it, they responded by giving the friend’s family $2000 in gift certificates. All that money has benefited their family as well. Brian has bought a new pick-up and Mary a new SUV. They now have a cabin in Minnesota and are in the process of getting a new home built in Bondurant. They have also taken two vacation trips, one of them in Hawaii. But they get most of their fun writing checks for various good causes and people in need of help. There are a lot of big lottery winners, there are a lot of rich people, but how many of them have managed to remain true to their values and hold on to their lifestyle? Brian and Mary Lohse have, and they are fine examples of true winners in every sense of the word. They (still) own lots of money – they haven’t allowed the money to own them. How do you think you would handle such a huge lottery win? Would you take Lohse way, or would you find it hard to resist going plain crazy for a few years?